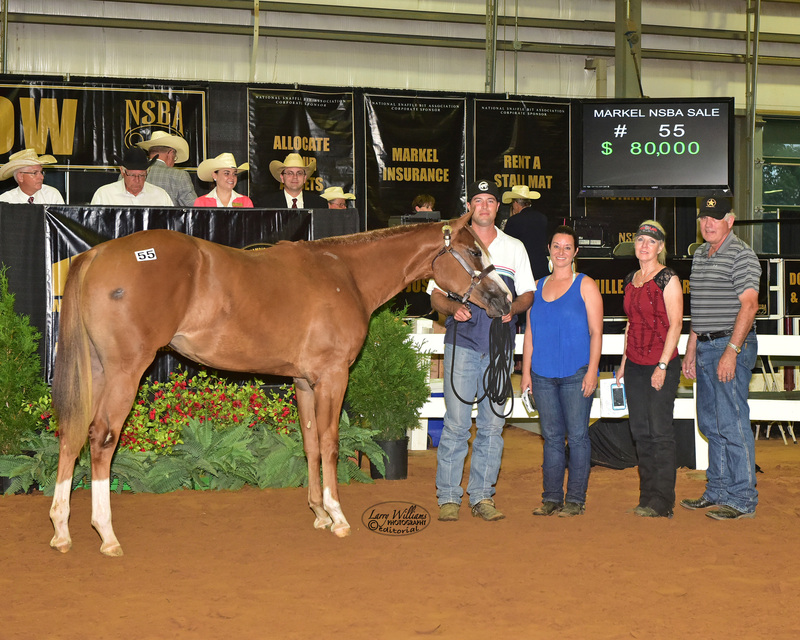 The 2018 Markel Insurance Yearling Sale broke records last night with ninety three of the country’s top yearlings selling for a total of just over 1.2 million dollars. 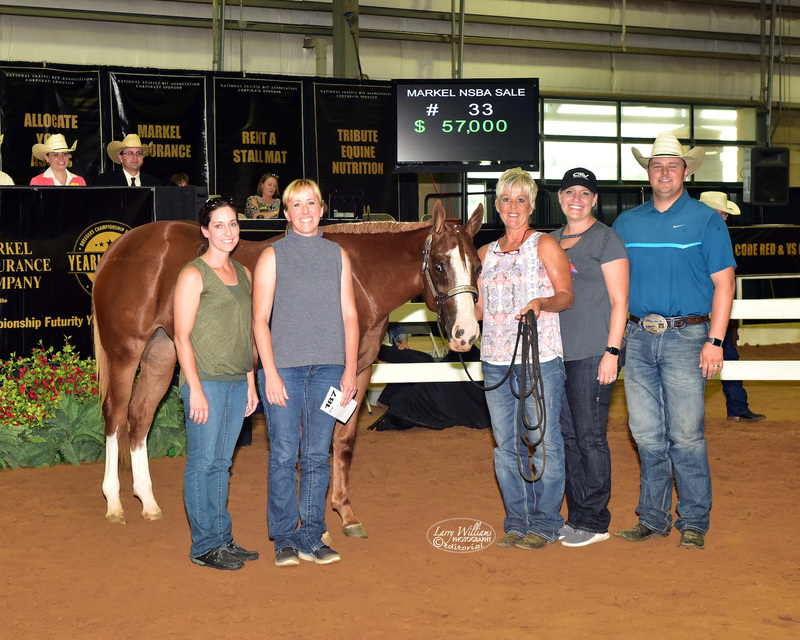 The top ten yearlings averaged a whopping $51,450 and the top twenty $35,200 with each of the top six horses bringing more than $51,000 and an impressive overall sale average of $13,382. 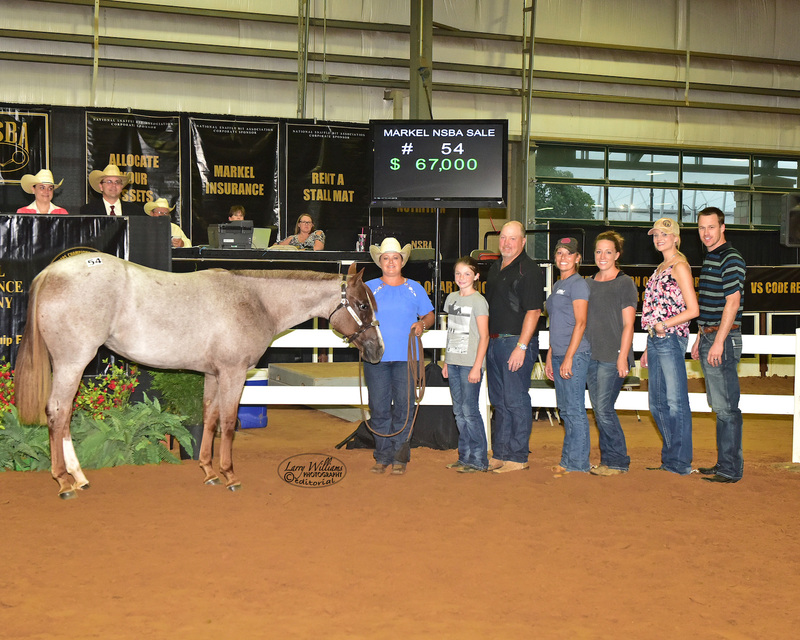 The top selling horse, Suddenly Ladylike by RL Best Of Sudden and out of Cool Krymsun Lady, sold for $80,000 and was consigned by Knapp Quarter Horse Farms. The sale also produced the highest graduate purse to date. The unofficial graduate purse from this year’s sale is $134,654. 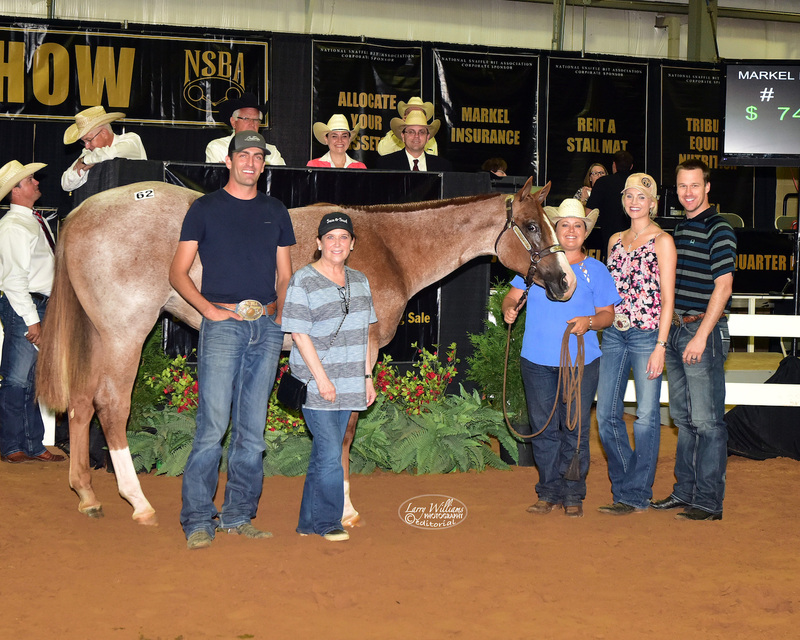 Yearlings that sold in this year’s sale will ride for half the purse in the 2019 and half the purse in the 2020 NSBA World Championship Shows during their two or three year old year. All told, the sale topped the charts in just its fifth year. The purpose of the National Snaffle Bit Association is to define, promote and improve the quality of the pleasure horse, to promote exhibits, events and contests in expositions and shows; the promote the training of pleasure horses, to promote interest in pleasure horses among younger horsemen and to use and encourage the use of the standard rules for holding and judging contests of the pleasure horse. Copyright © 2017 National Snaffle Bit Association, Inc. All Rights Reserved. All memberships expire December 31st. Memberships taken after October 1st will expire the following year. Please allow 30 days for processing. U.S. Funds, please. One form per membership - Submit a separate application. Please not that owner's name(s) on membership must read exactly as it appears on registration papers. Would you like to make a donation to the NSBA Animal Welfare Fund? Would you like to make a donation to the NSBA Crisis Fund? Would you like to make a donation to the NSBA Youth Scholarship Fund? Fees listed are the discount for cash and check paying customers. Add $5.00 for Canadian address.